We are offering a world class collection of Polyester Cotton Knit Fabric. Owing to its light weigh, softness and smooth texture, these offered fabrics are widely used in the textile and apparel industry for designing various garments and other things. Moreover, these are accessible with us in different textures, patterns and colors to choose from. Available in soft shades, this Light Color Fabric has a fine checkered pattern. Riding on years of industrial experience, we are engaged in manufacturing and supplying a foremost range of Polyester Cotton Fabric. 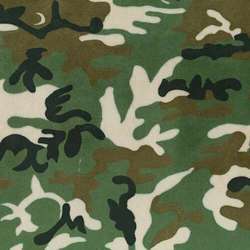 This Polyester Cotton Fabric is known for its quality and it is extensively used in textile industry for making different types of garments and to make various designer clothes. 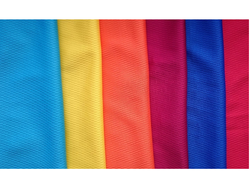 We are manufacturing Polyester Cotton Matty Weave fabric using utmost quality of yarn for providing the superior feel and quality satisfaction to our customer as well as the end consumers.. The Polyester Cotton Fabric offered by us is suitably utilized in garment industries for designing clothes, dresses, upholstery, stoles, scarves and various home ornamenting items. The provided fabric is also known as blended with cotton and polyester threads that bring in a dual dyeing effect in the garment.